Monte Cook’s Numenera Unveiled!! !- Games for Game Masters! The great thing about edition changes is it creats a gap… a period of time when everyone’s favorite game gets set aside, no matter how much they love it, and players and GM’s take the time to test and probe other systems that are out there including the new incarnation of their favorite. I love trying new games, and Monte Cook has released some information about his new game Numenera that’s got me salivating. 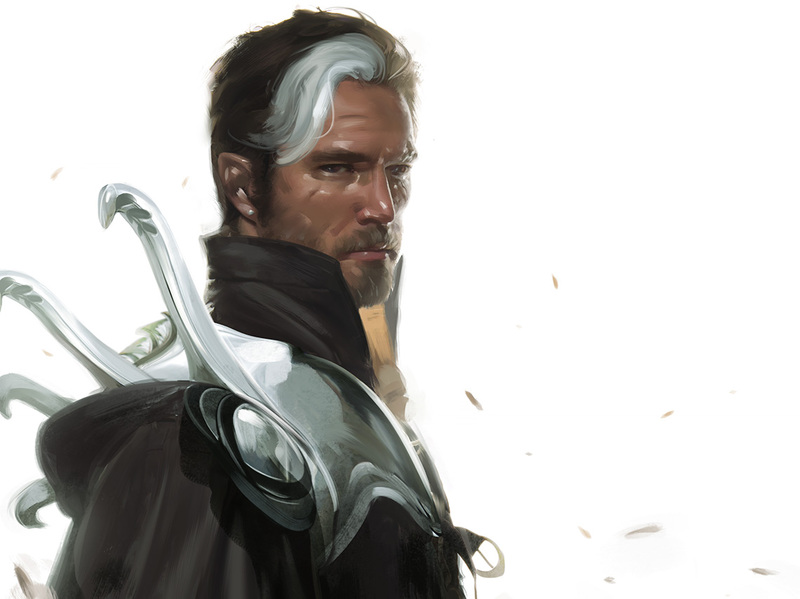 Numenera is a world set in the distant future where the highly advanced society of the past has left the players in a new dark age, with technology being perceived as magic. Character generation is simple, but promises to have various nuances and variations to keep things interesting. Okay, so we’ve got some interesting things going on here. Fresh look at the old Fantasy genre is always a good thing when you’ve been playing as long as the Skyland Crew. But wait, there’s more. Leave it to Monte Cook to create a game that features rules that make the game easier for the GM to run, and where the players can vote for additional rewards (XP, etc.) for clever RP. Mechanics take a back seat to story and playability, with numbers being reduced in variety, frequency, and complexity. Anyone who’s dealt with a high level buffed party in various editions of D&D knows the saving grace this will be come play time. Speaking of which, it’s noteworthy that attributes take on the form of descriptors (clever, tough, strong-willed, etc.) reminiscient of the old Vampire the Masquerade LARP (yeah, I admit it, I did my time as a much younger gamer playing “Bruno” the muscle for Clan Ventrue. I apologize for nothing.). How the mechanics will play out is still an open question, but you can catch summaries of playtests to see what the general flow is likely to be. I feel like we can safely say this game has promise, and Skyland Games will be keeping a close eye on this one as it nears release. The Asheville Comic Expo is coming to town on October 13th, and there will be gaming! All types of gaming: Role-playing games, Collectable Card Games, board games, retro video games and plenty of gaming vendors to take care of all the attendees’ gaming needs. I’ll be working closely with our Friendly Local Gaming stores and other gaming volunteers to make sure attendees can get their game on at the event! ACE will be held at the Asheville Civic Center exhibition hall. Admission will be $5, and that will get you access to all the panels, vendors, gaming, and of course comics galore! We’ll have more details for you soon, but expect the Asheville Pathfinder Lodge to be out in force, which means plenty of Pathfinder Society scenarios. I will be running the DCCRPG adventure Sailors on the Starless Sea. Want to run a game at the event? Contact us, and we’ll work it out! Register at warhorn to reserve your space at one of the RPG tables! Games will be from 12pm – 4pm. Get your RPG on, and still have time to see the rest of the Expo! See you there! We love our goblins in the Asheville Pathfinder Lodge, mostly because some of our members were introduced to Pathfinder Society through the most excellent adventure, We Be Goblins! 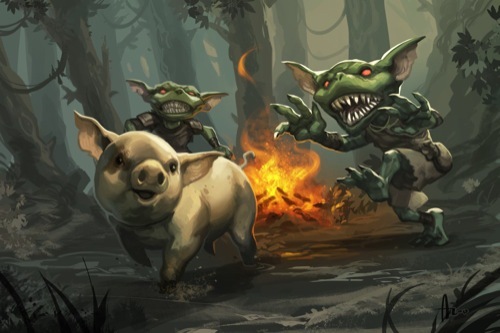 We have a few regular GMs who really put a lot of effort in to goblin voices, and some of our most hilarious anecdotes from our adventures involve goblin PCs. Recently, the founder of the Lodge came up with a brilliant idea: Let’s Goblinize some of the regular society scenarios! Our plan is to run a special session, maybe once every three months or so (Once in a Goblin Moon), that would use goblin PCs. It wouldn’t be for regular society credit, but our little gobbos would level up as normal for use in these special scenarios. Currently, we are working on goblinizing the First Steps intro modules. Hopefully they’ll still be recognizable when we’re done. Maybe we’ll make some goblin factions? Its too early to tell. We are not alone in our love of the watermelon-headed pyromaniacs. 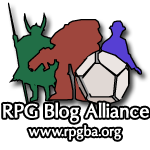 The fourth season of society play kicks off with a goblin scenario: Rise of the Goblin Guild! If you’re a Pathfinder fan and haven’t played We Be Goblins, you are missing out. 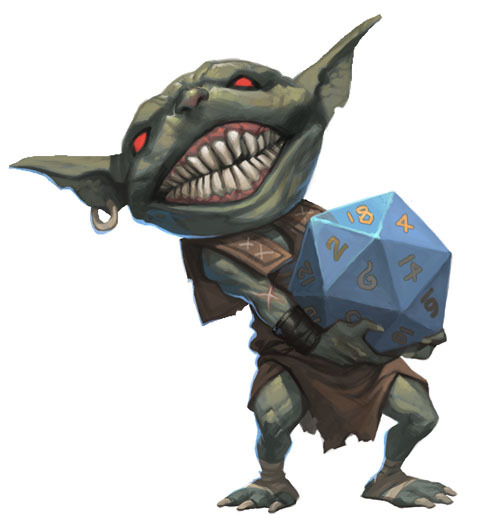 It helps to have a very committed, extroverted GM, but any way you play it, goblin PCs are hilarious. Once we run our goblin scenario, I’ll report back and let you know how it went. I think we’re in for a very explosive, horse-hating, hilarious time!